In this age of consumerism, there’s a choice for every product. You alone do not hold a monopoly on your product so you must understand that the customer is king. For a business to be sustained and stay viable, the customer must always come first. Keeping them happy and returning for more is the ultimate goal for any business. Several studies have shown that repeat customers buy significantly more on their visit than first time customers and repeat customers are also more likely to recommend you to someone close to them. In our current environment of increasing competition, building relationships with customers has now been brought into the spotlight and businesses are focusing a lot more of their attention on the matter. Customers are real people with real emotions. Each one is a distinct individual who matters; not one more than the other, but all of equal importance. You must establish a bond from the outset. 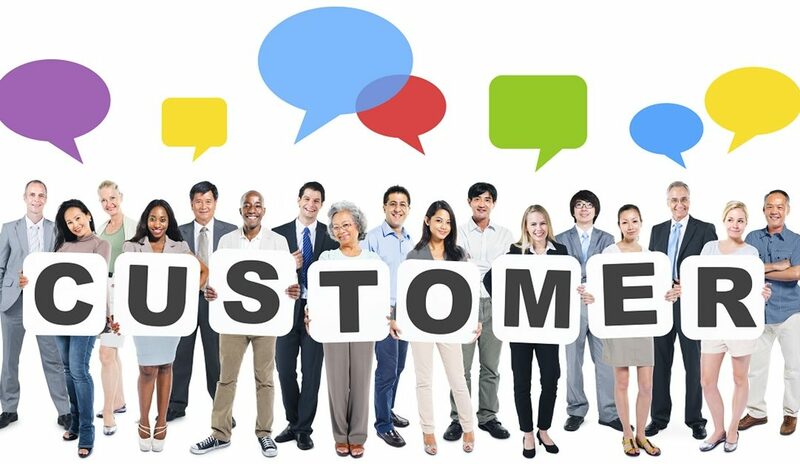 Customers are crucial to the survival of your business and they deserve the best possible behavior. In order for them to warm to you, you must show sincerity and be respectful to them and their needs. Carrying yourself in a mannerly and professional fashion will help you win their respect. This is the first step to thawing the ice. Customers appreciate informative advice so if you are able to display your knowledge and expertise in your field, there is every chance they will warm to you. Staying professional in approach and demeanor are essential to success. The most widespread channel for knowledge sharing is the Internet. This is the biggest platform to show your customers that you are an expert in your chosen field. A customer’s query immediately answered builds goodwill and increases the chances of his returning for a purchase. Have a process in place to collect customer feedback and a way to log not only complaints, but also how you and your company respond to issues as they are reported so this can be replicated if the issue ever arises again. This is not only the case for negative feedback. Businesses should also pay close attention to positive feedback. Not only do positive comments help tell a company what they are doing right but they also encourage others to take notice of them. Customers feel rewarded when an exclusive offer is made to them, or to a select group of frequent customers. Not only does a loyalty program provide a practical, hard reason for continuing to buy (the accumulation of points towards a reward, or higher level of service) but it also provides information about the customers that allows their needs to be met more efficiently and effectively. Rewarding existing customers for their continued loyalty will not only increase retention, but also increase the number of new customers your business brings in. This will occur through positive feedback from existing customers and also eye-catching loyalty deals, which will draw them in. Example of reward programs include loyalty programs, offering discounts on selected lines, point rewards, and also giving away free items with multiple purchases. There is a new tool available called social customer relationship management or CRM. This tool has become one of the most important marketing tools for many businesses. It lets you make the most of your social media interactions by tying them in with a database and allowing you to manage the data easier. Social networks are a great way to stay in touch with customers and build relationships. Through social media we get a front row seat into the latest developments of our customers’ lives and in doing so can begin to measure their needs. Facebook and Twitter are the most popular tools for business to interact through social media, so “Likes” and “Follows” are the first steps in building a customer relationship. Comments on your business, or mentions in the industry you are in, can be used as valuable feedback and will determine how best to move forward. Frequently update your social media sites to try and garner some feedback and interaction from customers. Always respond to criticism, don’t simply ignore it. You must show the world you are going to find a solution and are taking steps to eradicate the fault. A successful networker knows that it is not just what s/he receives from others but what s/he gives that determines whether the networker is building solid relationships. The entire purpose of networking is to build solid, trusting relationships–business relationships that are of value to everyone involved.